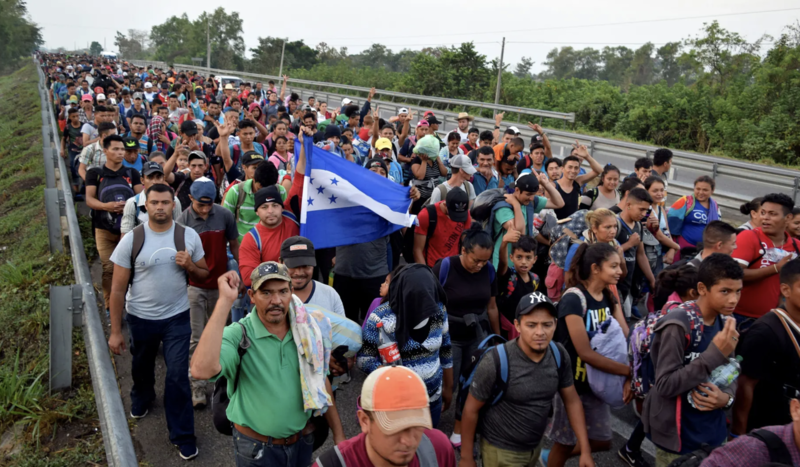 A few months have passed since President Trump last threatened to close the southern border, but with another caravan of 2,500 Central American and Cuban migrants making its way through southern Mexico - where the group has reportedly received a cooler welcome than previous groups - the president has apparently decided that it's time to revive those threats. In a Thursday morning tweet, Trump lashed out at Mexico, Guatemala, El Salvador and Honduras for doing "NOTHING to help stop the flow of illegal migrants", adding that they are "all talk and no action." These countries have "taken our money for years", but nothing has changed. So, with the number of migrants crossing the southern border surging to crisis levels - a fact that even the liberal press like the Washington Post and New York Times have acknowledged - Trump said he "may close the Southern Border." The situation has become so dire, that US detention facilities along the border have been forced to release some families from custody, effectively reversing the president's cancellation of "catch and release", due to overcrowding. Though, to be sure, Trump has made this threat many times before. At this point, it will take more than a tweet to convince America's neighbors that he is serious.